April has seen some lovely sunny weather but also some very chilly mornings, Air-Pot® grown plants which have been protected from the cold have really streaked ahead. 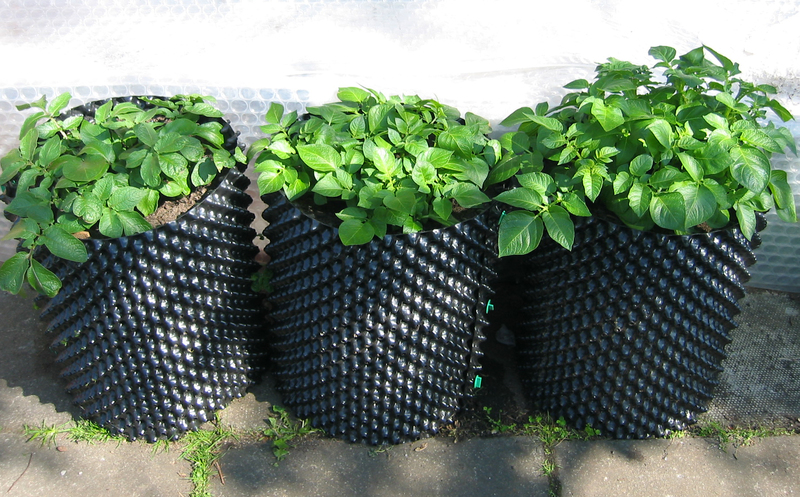 In just a few weeks the Potato Towers seemed to have filled-up with healthy foliage, I have just earthed-up the plants by troweling in compost to the top of the container. Potatoes in the open ground are not even showing yet! The polythene cover is still ready to be pulled over at night if frost is forecast as temperatures can vary so much in Spring. 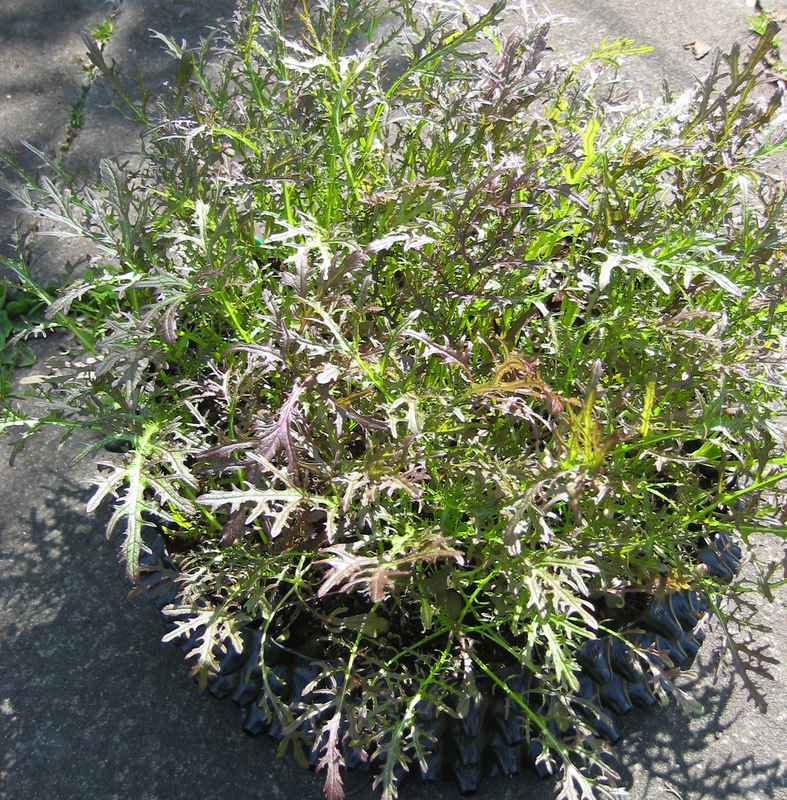 The Air-Pot propagation trays sowed with cut-and-come-again salads have been a success, the Spicy Salad mix and the Giant Red Mustard were unbelievably quick to develop in the greenhouse. Careful picking of leaves and pinching out any flowering shoots seems to work better than cutting, the depth of the trays is greater than a traditional seed tray allowing a bigger root system which should mean the plants actually do come-again. Other salads looking good are Red Frills Mustard and Moulin Rouge. 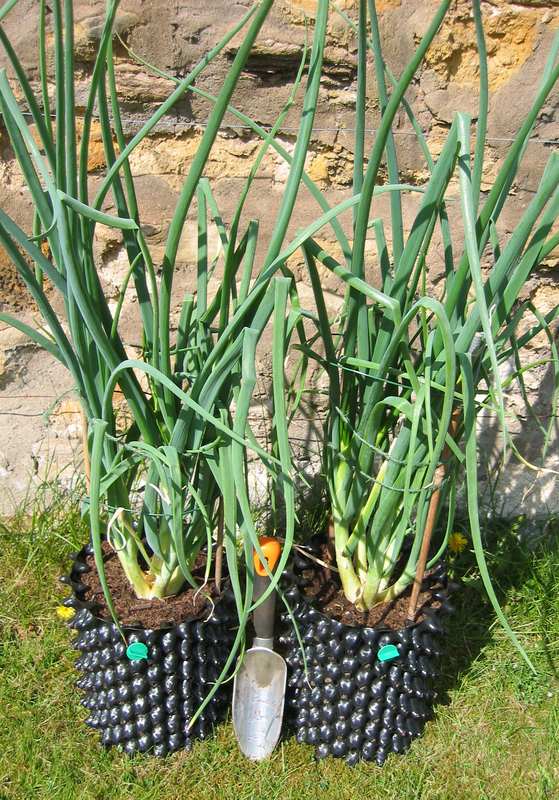 I experimented with multiplying onions known as potato onions in Air-Pot® containers, these are similar to a shallot and normally form little clusters of bulbs. I only had two precious bulbs and they have romped away from a November planting producing exceptionally vigorous plants which are about to flower, so I will soon have lots of seed to increase my stock. Apparently flowering of this strain is quite rare, clearly early planting in an Air-Pot gave them what they needed to trigger flowering. For future bulb production I will plant sets in Spring so they do not have time to flower, maybe sometimes life in an Air-Pot is too good?